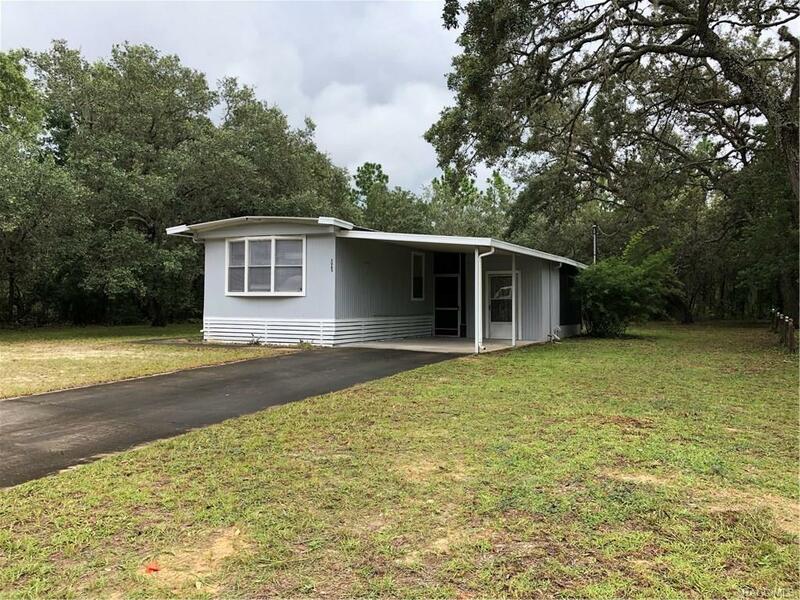 5065 W Rolling View Place, Lecanto, FL 34461 (MLS #775103) :: Plantation Realty Inc.
Really nice and well maintained move in ready home with land. This 2 bedroom 1 bath mobile with a carport, includes a private screened room to enjoy the outdoors. Utility/storage room under carport, with laundry area. Custom made kitchen cabinets and countertops that opens to the living area. Luxury Vinyl flooring throughout. A full sized Tub/shower combo. The electrical and plumping was all updated (2017), interior and exterior painted, with new water heater both in 2017, Metal Roof, gutters & downspouts, private yard. Center of the County for convenient access to the hiking biking trail, the lakes for fishing, to the Gulf for boating and scalloping. Country feel although in a neighborhood. Come see it today!